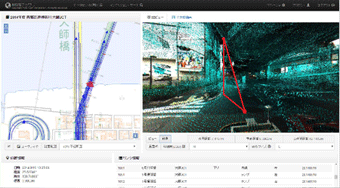 Shutoko Engineering Company Limited (hereinafter “Shutoko Engineering”) developed a brand new system, InfraDoctor — streamlines the work for maintenance and reconstruction of motorways and structures with geographic information and 3D scanned point cloud data — in collaboration with Aero Asahi Corporation and Elysium Co. Ltd. There is a large portion of existing infrastructure such as motorways across Japan which was constructed over the period of rapid economic growth started in 1950s, and the rate of aged structure is increasing rapidly. 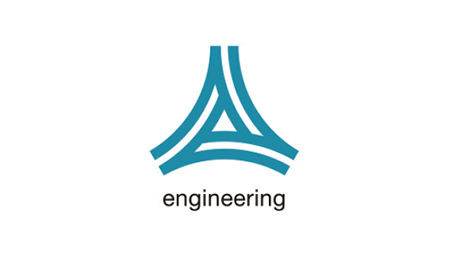 So it is estimated that the repair, reinforce and reconstruction work will increase while facing a shortage of engineers due to decreasing birthrate and aging population on the other hand. Shutoko Engineering, which is in charge of maintenance work of Metropolitan Expressway including inspection and designing for repair and retrofit, was facing a business challenge that how they can maintain the safety of expressway of over three hundred kilometers and surrounding structures efficiently maximizing the limited resource and time. 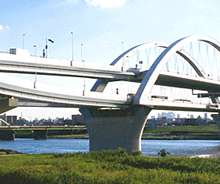 Shutoko Engineering has accumulated know-how and data for the maintenance of motorways and structures. It was the system to manage mass data, and also support and rationalize the engineers’ work including repair and retrofit design, construction plan and prior consultation, what they needed to streamline the work by leveraging those properties. 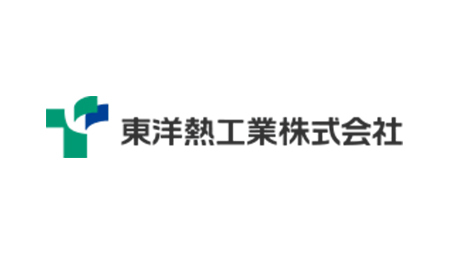 So they built a consortium to develop a bespoke system with Elysium, the leader in 3D data translation and geometry-handling technology, and Aero Asahi Corporation, the expert of the technology to obtain and analyze the 3D scanned data of express ways. The consortium concentrated the expertise and technology in each specialized field, which achieved the completion of the development of a brand new application, InfraDoctor — system to totally support the maintenance work of infrastructure — in such a short lead time. InfraDoctor facilitates the maintenance work of motorways and structures — maps various data obtained from 3D scanning with MMS (Mobile Mapping System) such as point cloud data and omnidirectional videos to the geographic information in GIS (Geographic Information System), check the current status of infrastructure virtually, generate drawings from point cloud data, and more. 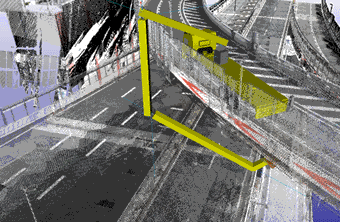 Leveraging the technologies developed for InfiPoints, Elysium developed InfraDoctor adding capabilities to measure distances and angles of motorways, conduct various virtual simulations and generate drawings from point cloud data. It is important for the infrastructure maintenance work to grasp the distances between various points on motorways including surrounding structures and overhead lines, and it has been a standard method to calculate based on the 2D comprehension drawings, or measure physically on site. InfraDoctor allows users to measure virtually between any two points. This is ideal especially for the area where the traffic is heavy, where it is high, and also where it requires complex scaffolding. It is common to plan the structural inspection which requires a bridge inspection vehicle or an aerial work platform using comprehension drawings and photos.InfraDoctor conducts collision detections between those vehicles and structures in a virtual environment. This allows users to examine the most appropriate heavy equipment as well as share the inspection procedure beforehand among related parties. This prevents the rework, for example, the case that the vehicle is found out to be inappropriate once on site. It normally consumes enormous time to create CAD data of motorways as it needs to be done one by one from the scratch based on 2D drawings and measurement results. It is often even impossible because there is no drawing available for old motorways and structures. Leveraging the technology developed for InfiPoints, InfraDoctor generates CAD data and 2D drawings from point cloud data, which dramatically shortens the lead time to create CAD data. It is necessary to create a drawing which shows the road closure or lane regulation before the work on the motorways. With newly-developed data processing technology, InfraDoctor allows to quickly create drawings from point cloud data and geographical information. Furthermore, it also allows to simulate the controlled area in a virtual environment and confirm the details beforehand. Shutoko Engineering is heading to launch the full-scale operation by 2015 year-end once tested in the actual inspection and maintenance work. And in the future, they are planning to utilize InfraDoctor when their consulting team supports the municipality and other organizations in the inspection work. Furthermore, the infrastructure is being developed rapidly in Asian countries, and there are growing demands for the system to facilitate the maintenance work. Shutoko Engineering is seeing it as their new business conception to make international contributions by providing solutions utilizing InfraDoctor.